Why pay full price for a brand new replacement vehicle part when you can look for high quality used auto part sales in Auckland for a fraction of the cost! 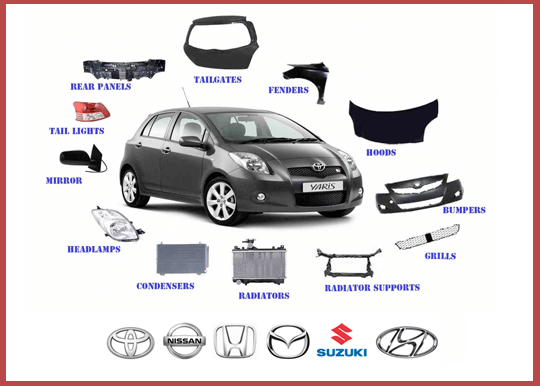 All second-hand car parts are checked for quality and have a very reasonable price tag. Avoid paying sky-high prices and check out JCP Car Parts for used auto part in Auckland today. JCP Car Parts is the best car parts supplier throughout New Zealand. You will be able to see what makes and models, we sell through trade me store listings. Apart from Trade me store , we sell our auto part through other online plate-forms such as Capricorn New zealand, Partstrader and partslink. For your information, our physical address is at 10 Parker St. Papakura . Quite often, we come across so many customers who don’t know the name of their car parts but even if you dont know what is the name of the parts you are after, there is nothing to worry because we are here to help you. Please check the trade me listings for your make and model in order to confirm the availability of the car in JCP Car Parts auto part sales or just simply call auto part sales 0800 57 27 87 then one of our sales rep will be serving you with utmost care. Service is our best part, therefore, buying auto parts becomes so simple with JCP Car Parts. Once you visit, you will surely come back for more. There are heaps of customers’ car parking, very spacious. The yard for auto part sales in Auckland is huge and hence the chances of your auto part availability is very high in our store.